This fact sheet provides information on strokes. This fact sheet provides information on strokes. Our fact sheets are designed as general introductions to each subject and are intended to be concise. Sources of further support and more detailed information are listed in the Useful contacts section. Each person is affected differently by strokes and you should speak with your doctor or specialist for individual advice. A stroke is a disruption in the blood supply to the brain. Most strokes are caused by blockages (usually blood clots) disrupting the brain’s blood supply. These are called ischaemic strokes. Some strokes are caused by bleeds. 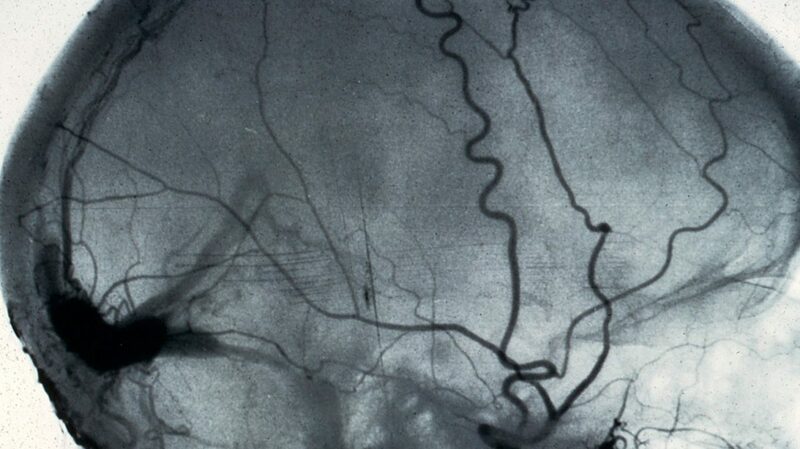 These are called haemorrhagic strokes. The brain depends on a supply of blood for the oxygen and nutrients it requires to function properly. When the blood supply is disrupted, brain cells are starved of oxygen and nutrients. This causes damage to the brain tissue. Stroke is a medical emergency. If you suspect someone is having a stroke, call 999. Stroke is the leading cause of adult disability in the UK. Strokes can affect people of any age but are more common in older people. Further information can be found in our fact sheet TIA (transient ischaemic attack). In more serious cases, the person might lose consciousness. The onset of stroke symptoms is usually sudden. Strokes can occur while people are sleeping. If this happens, people can wake up with the symptoms. Most strokes are caused by a thickening or narrowing of the arteries that carry blood to the brain. Stroke is also more common in South Asian, African and Caribbean communities, partly because diabetes and high blood pressure is also more common in these groups. Although stroke affects the brain and not the heart, people with an irregular heartbeat (atrial fibrillation) are at an increased risk. An irregular heartbeat can cause blood clots which can travel to the brain and cause a stroke. Haemorrhagic strokes are caused by one of the blood vessels supplying the brain bursting and causing a bleed. The most common cause is high blood pressure which damages and weakens the arteries making them more likely to tear. Further information can be found in our booklet Subarachnoid haemorrhage. The key test for stroke is a brain scan. You might have a CT (computerised tomography) scan or an MRI (magnetic resonance imaging) scan. Your scan results can show whether your stroke is ischaemic or haemorrhagic. This is important because the treatments differ depending on the type of stroke. Further information can be found in our fact sheet Brain and spine scans. A small number of people who have an ischaemic stroke might benefit from a treatment called thrombolysis which dissolves the clot blocking an artery. This treatment needs to be given within a short period of time after the onset of symptoms (within four and a half hours). It can significantly reduce the effects of the stroke but it is not available in all hospitals and is not suitable for everyone. If you have a blockage or partial blockage in one of your carotid arteries you might benefit from surgery to clear it. This operation is called a carotid endarterectomy. Your doctors will discuss your suitability for this procedure with you. If your stroke was caused by a blockage (ischaemic) you might be given medication to thin your blood and make it less sticky to reduce your risk of blood clots. You might be prescribed an antiplatelet medicine like aspirin, which reduces the stickiness of platelets and therefore reduces the chance of a blood clot forming. Or you might be given an anticoagulant, such as warfarin, which works by interrupting the chemical process that allows a blood clot to form. People who have had a stroke are at an increased risk of further strokes so it is important to try to reduce this risk. Most people tend to make their best recovery in the first few days and weeks after the stroke but people can continue to recover slowly over months and even years. If you have any physical problems after your stroke it is likely that you will benefit from physiotherapy. A physiotherapist can help your physical recovery and the recovery of balance and movements such as walking. If you have any speech problems it is likely that you will benefit from speech and language therapy. A speech and language therapist can help with the recovery of your communication skills. They can also help if you have swallowing problems. You might also benefit from occupational therapy. An occupational therapist can help you redevelop the skills you need to perform everyday activities at home like washing and cooking. They can also recommend special equipment or adaptations to your home to make your life easier. More people than ever before are surviving and living with stroke in the UK, however over half of stroke survivors are living with some type of disability. Your health and social care needs should be reviewed six months after your stroke and then every year after that. This information was last checked in August 2016. Due for review in August 2019.